I work on a Reward Basis...That means you pay me what my service is worth to you and what you can afford...For me to come out and find your lost item. Parks, beaches, homes, farms, fields, shallow water & anywhere else my two feet takes me. 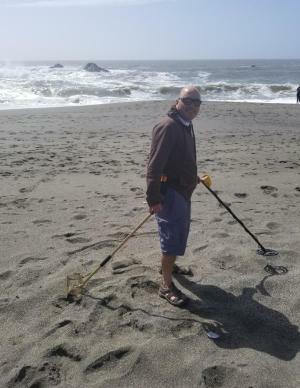 With so much time on my hands, I've grown a serious passion for treasure hunting. Seeing a smile on someone's face when you return their precious personal property is priceless. Being a California resident for almost 30 years, i've traveled to every corner of the state. As a former Correctional Officer, Military Police, working in security industry, speaking three languages, makes me an excellent investigator & communicator. Its been an absolute pleasure returning someones lost wallet, purse, jewelry and other precious belongings throughout my life. I hope to serve you next.